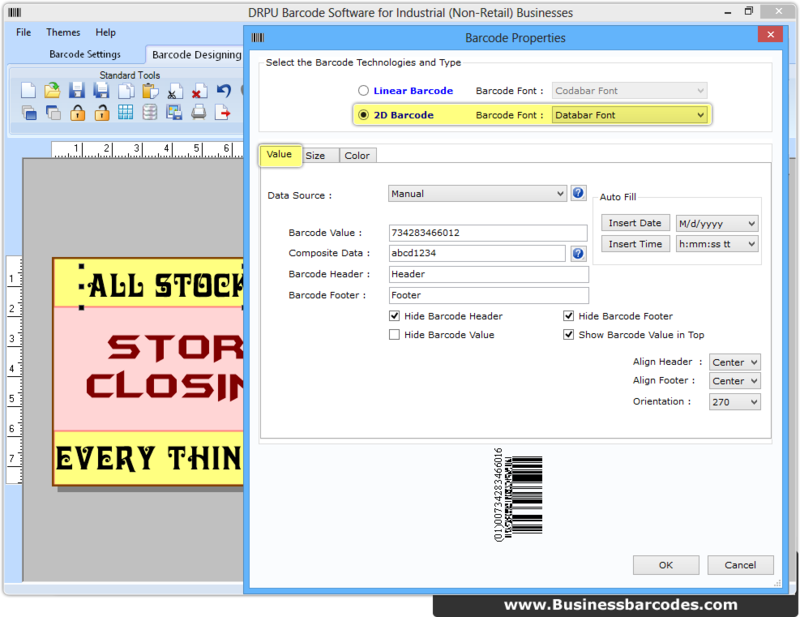 In barcode designing view, to add text go to text properties from tool bar and alter text as per need as shown in right panel. To add bar code on your label, click on barcode from toolbar and set its value with font type and technology (Linear or 2D). 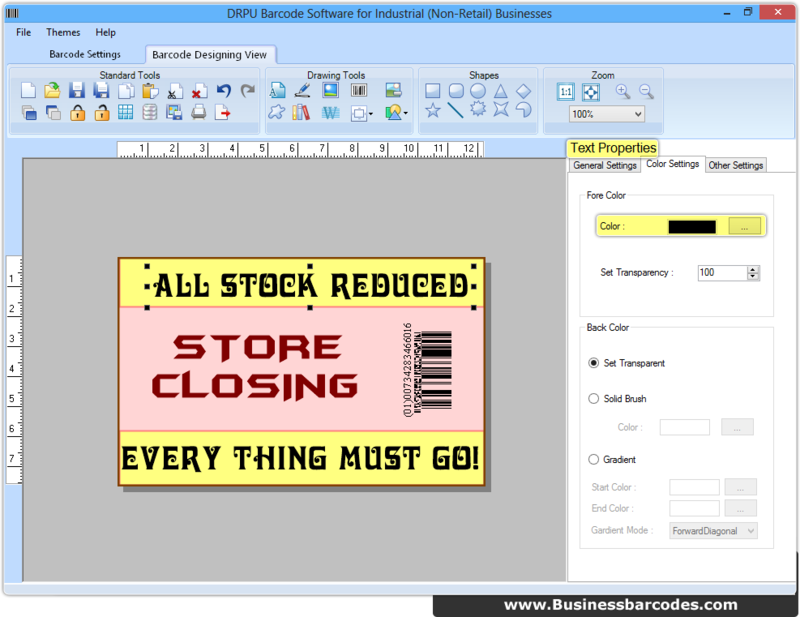 To print your designed barcode labels first go to print option from toolbar. 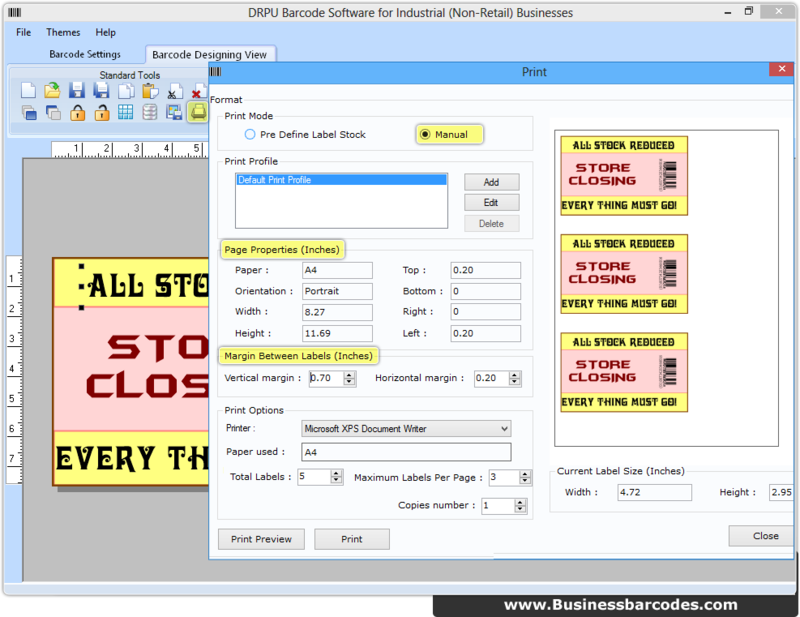 Choose mode of printing and set attributes accordingly. Print preview facility is also available to avoid printing mistakes.